iTunes has named photo sharing app Instagram as iPhone App of the Year in its annual list of the most downloaded apps, music, TV shows, movies and podcasts released today. The app awards, judged by iTunes’ editorial team, were dominated by photo and video apps, with 8mm Vintage Camera and Luminance taking out the runner up awards for iPhone, and Snapseed taking out the top spot for iPad. 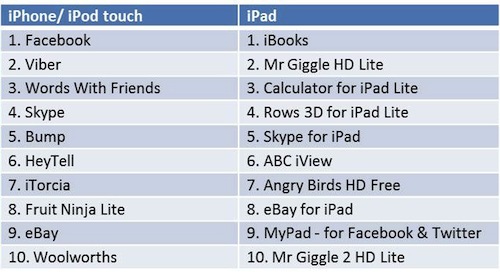 Gaming apps dominated the most downloaded paid apps on both iPhone and iPad. The title of Game of the Year was awarded to Tiny Wings on iPhone and Australian developer Firemint’s Real Racing 2HD on iPad. 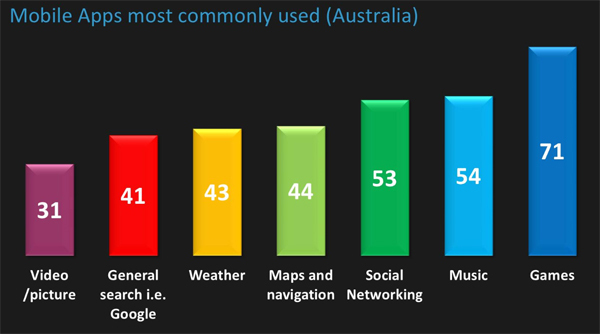 Social networking and communication apps were the most downloaded of the free apps on iPhone, while for iPad the most downloaded was a mixed bag of media, games, shopping and utilities. 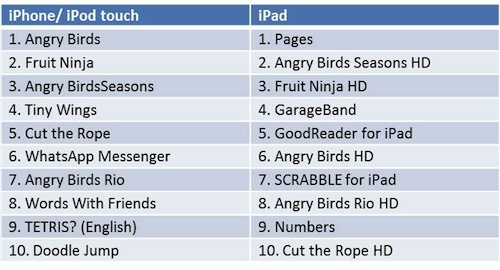 Gaming apps dominated the top ten downloaded paid apps for both iPhone and iPad, with Angry Birds and its spinoffs occupying several places on both lists. According to data from research company TNS’ Mobile Life study, gaming apps are the most frequently used apps, while video/picture apps are the least frequently used of the main categories. Commercial director at TNS, Jonathan Sinton, says that a branded presence in apps can address three core marketing goals: creating brand awareness, boosting engagement or loyalty, or changing the way the market behaves. An example of an app that has added utility and has the ability to change the way the market behaves is the Commonwealth Bank’s Property Guide app which uses augmented reality to help home buyers find properties. “There are lots of different ways brands can get involved with gaming also,” Sinton says. “At the base level brands can insert advertising into a game, such as the Gillette billboard ads often seen within FIFA games. “At the higher level, custom white label games such as Angry Birds Rio can be developed,” he says, referring to the version of the popular Angry Birds game series integrating promotion for the 3D animated film, Rio.